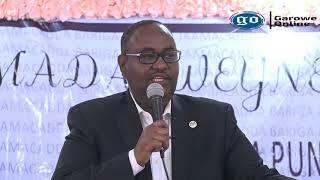 GAROWE, Puntland- In a press conference held in the state capital of Garowe, the State Indirect Electoral Implementation team (SIEIT) has discussed the progress in the Lower House election in Puntland region, Garowe Online reports. 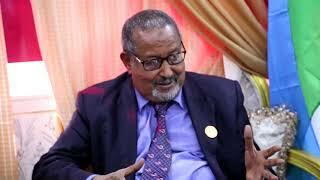 During the press conference, Chairman of Puntland’ SIEIT, Khaliif Aw Ali, has talked about the delays in the selection process of Lower House candidates, who attributed it to the disagreement on the women quota and other reasons. He also said that the registration process for the candidates has already commenced. However, according to the revised schedule of the electoral process endorsed by the National Leadership Forum (NLF) - comprised of Leaders of Federal government and regional states- the Lower House election was set to take place between 23 October to 10 November. 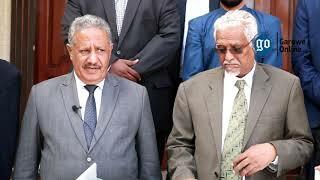 Ali noted that the state electoral body has urged regional clans to expedite the process by bringing forward their candidates and Electoral College lists who will vote for the candidates competing for the seats in the upcoming Lower House chamber of Federal Parliament. 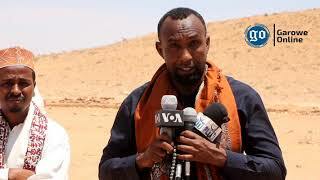 The announcement of Puntland’s SIEIT comes a day after a press statement released by Somalia’s International partners criticizing leaders of Somali government, regional states and electoral commissions for the recurrent delays, corruption and intimidation practices in the Somali elections. On the other hand, reports have indicated numerous complaints from the clans in relation to the selection process of candidates and Electoral College. Yesterday, Somalia’s Independent Electoral Disputes Resolution Mechanism (IEDRM), has announced it had received over 1200 complaints from the ongoing electoral process. 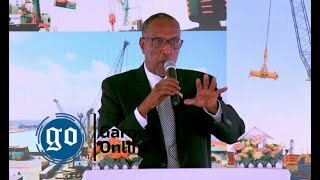 Somalia is in race of time as the country is preparing to hold parliamentary and presidential elections that scheduled to conclude in November 30. JOWHAR, Somalia- In a statement released by Somalia’s electoral body on Saturday, it has suspended the ongoing Lower House elections in the newly established Hirshabelle state following violence at the election center, Garowe Online reports.